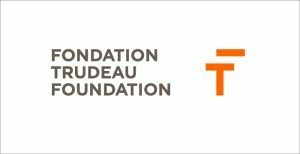 On October 30th, 2017, the Immigrant Employment Council of British Columbia (IEC-BC), in partnership with the Pierre Elliott Trudeau Foundation, RBC Royal Bank (RBC), the Global Centre for Pluralism (GCP) and SFU Public Square, will present the key findings of The Diversity Dividend: Canada’s Global Advantage . The report was authored by Dr. Bessma Momani, Professor of Political Science at the University of Waterloo and Senior Fellow at CIGI, and Jillian Stirk, Dialogue Associate at Simon Fraser University’s Centre for Dialogue and Mentor with the Pierre Elliott Trudeau Foundation. The event will convene representatives from business, government, academia, and front-line settlement services for whom The Diversity Dividend is relevant. The morning will begin with a presentation of the report’s key findings and recommendations , and will feature an interactive demonstration of one possible solution to the challenges identified – our BC JobConnect tool. The audience will have the opportunity to participate in an interactive conversation with a panel of industry and thought leaders, renowned for their practical and theoretical expertise in workplace diversity. Panelists include IEC-BC’s Board Member Fiona Macfarlane (EY), Marija Radulovic-Nastic (Electronic Arts) and Kamal Al-Solaylee (Ryerson University). This dialogue will feature stories of success afforded by diverse hiring practices and inclusive environments, and will offer the attendees the opportunity to build networks, share challenges and best practices, all in an effort to leverage workplace inclusivity in BC. The Diversity Dividend: Canada’s Global Advantage presents findings and policy recommendations based on consultations with more than 6,000 business and employers across 14 sectors. The report discovers a positive correlation between diversity and economic prosperity, and identifies opportunities for Canadian employers and policymakers. You can read the full report here.